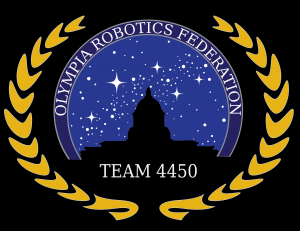 The Olympia Robotics Federation (ORF), OSD’s FIRST Robotics Competition (FRC) team, competed in the FRC Pacific Northwest District Championships this past weekend. 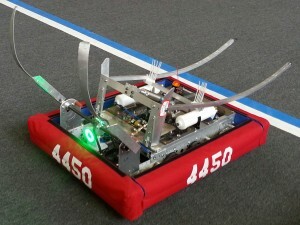 The team, number 4450, is tackling the 2014 FRC game, Aerial Assist (see this game animation), which was announced on Jan 4, 2014 – kicking off a 6 weeks Build Season for the team. 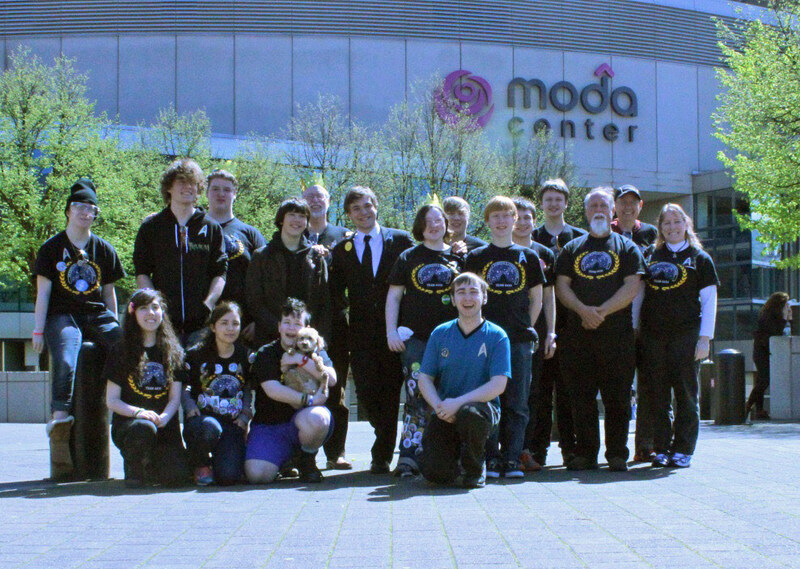 The District Championships were held at Veteran’s Memorial Coliseum in Portland on April 10 to 12. 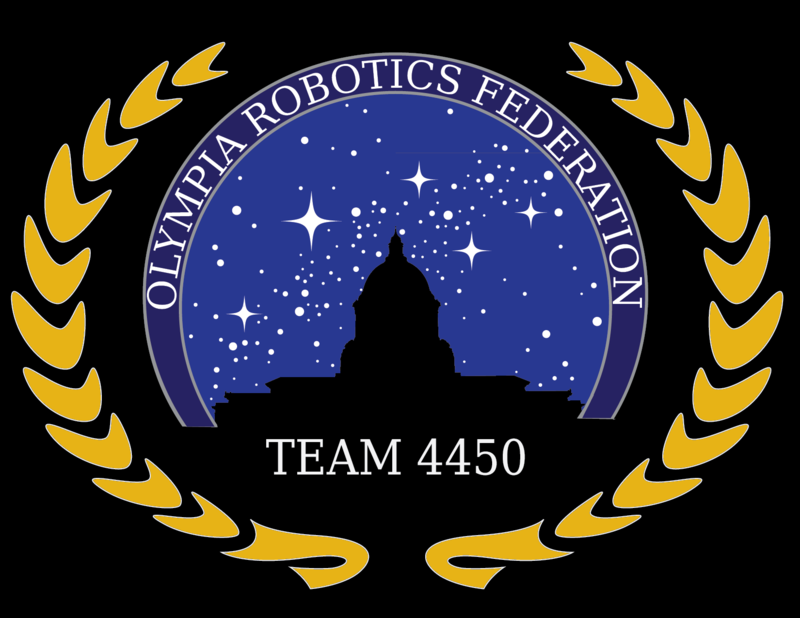 ORF qualified for this event through their award-winning performances at two Washington State competitions (see earlier STEM Pals stories here and here). On Wednesday evening the team’s robot, Ibex (see photo at left), passed robot inspection with no major problem. Then Thursday morning the team tested Ibex with some modifications they had made to the throwing arms after their last competition, resulting in some improvement in shooting performance. The qualification matches began Thursday afternoon, and the team and robot were performing well but they ran into bad luck in their first two matches, with one of their partners losing ability to shoot the ball in the first match and a dead ball caught in one their partner’s robot in the second match. They lost the first two matches, but ended the day with a clear victory in their third match, supported by excellent team work with our alliance partners, resulting in a 1-2 record after the first day. 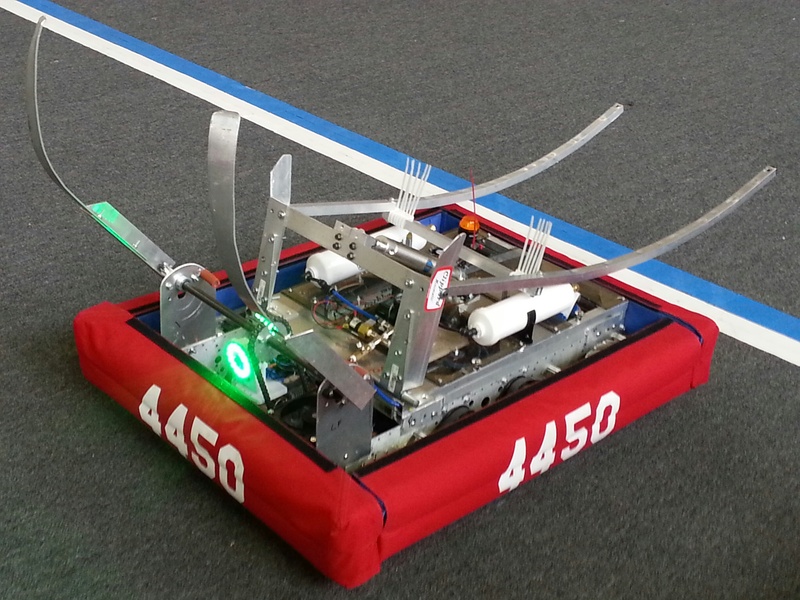 After the matches the team looked at the robot’s weaknesses and identified a software improvement that could help protect the robot from the heavy defense on the field and team members worked into the night to implement it. Friday continued the qualifying matches and ORF fought back to a record of 3-3 by midday, despite having to fix a side effect of the late-night code change which caused a delay in shooting and a close loss during the first match of the day. Midday was the high point, however, as the team lost three close games and won one to finish the day. They impressed their opponents and partners with their speed, durability and the consistency of their scoring during the autonomous period at the beginning of each match. 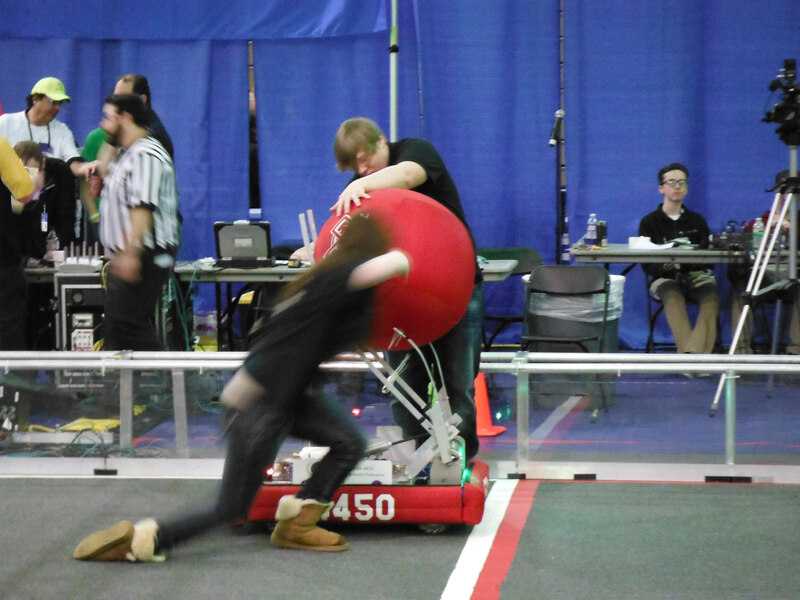 Also one of the strengths of this team is its two very closely matched drive teams, which alternated and gave more team members the opportunity to operate the robot on the field, or serve as the human player that tosses the ball to the robot from the sidelines. Most other teams have only one drive team. On Saturday, ORF played two more qualifying matches but ended up ranked in the lower half of the field and did not get to play in the finals. This ended ORF’s quest to advance to the World Championships for a second time as, despite being ranked in the top quartile in the Pacific Northwest, only the top half of the top quartile get to advance. 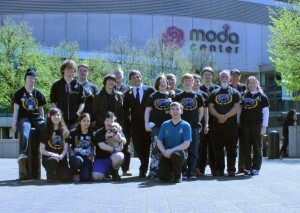 However, the team was proud to represent the Olympia area at this regional championships. The team and their supporters are very spirited and were praised for making a lot of noise cheering in the stands despite being one of the smaller teams there. The team was also praised for its catchy Star Trek theme. Planning has already begun for the off-season work on both robot technology and a sustainable business model for the team. If you, or someone you know, is interested in supporting this cross-district please team check out this STEM Pals page.